Being so close to the latest advancements in dentistry has given Dr. Magid the experience and expertise you deserve. His practice and his skills are nationally recognized as having transformed dental care with high-tech solutions. Feel free to review the advanced tools, natural artistry, and health enhancements that are part of his advanced dental practice. 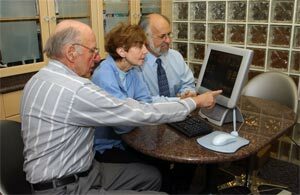 Also, be sure to browse the astonishing before to after changes this technology offers as revealed through photos of actual patients by choosing this link .